Hola, Mexico City! Once notorious for its traffic and pollution—and more recently for its drug violence and lack of security—this city of about twenty million inhabitants is one of the three biggest metropolitan areas in the world, and for the past twenty years has been busy cleaning up its act and generally reinventing itself. Within this shifting context, a revolution has also been taking place within the local contemporary art scene, which has matured from small, independent beginnings into a structured movement with resonance in everyday life and a place in Mexican society’s wider dialogue. 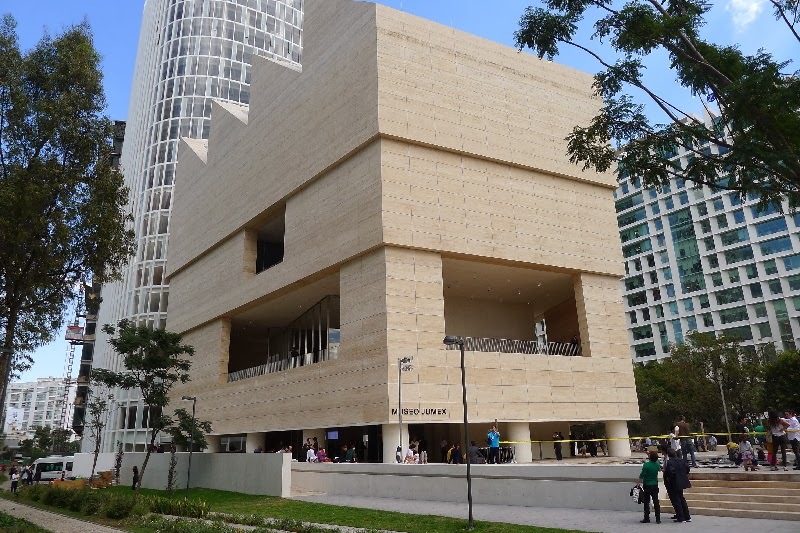 Here pictured, the Museo Jumex, which opened last November in a new location in Polanco, and which houses Eugenio Lopez’s collection of international contemporary art, one of the most important in Latin America. The discreet and elegant modernist building, designed by David Chipperfield, winks at both Le Corbusier and Juan O’Gorman, a Mexican modernist architect from the 1930s and ’40s who designed Diego Rivera and Frida Kahlo’s studios in San Angel. La Fundacion Jumex has changed the relation of Mexicans to contemporary art, also providing economic support for art projects, research, and publications, and providing grants for artists and curators to pursue graduate study abroad.